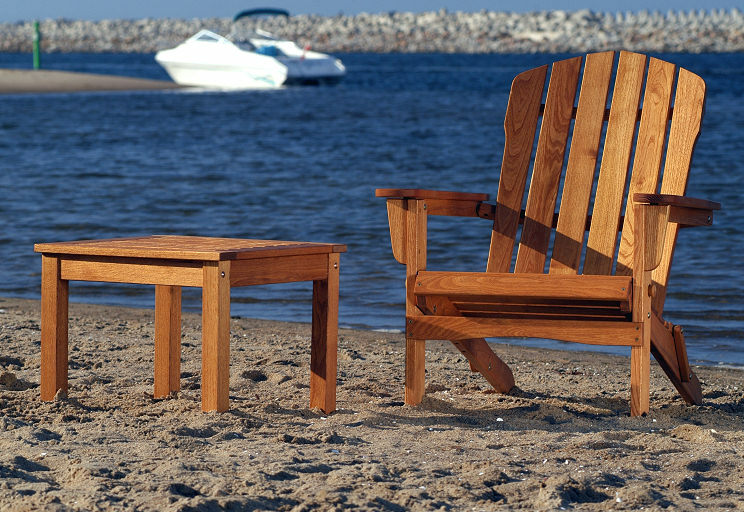 COLORADO Adirondack is crafted with American tradition for summer relaxing. The armchair is solidly built of robinia wood for beauty and strength. It is highly durable, stylish and almost maintenance-free. The deep seat and low flat arms make this piece of furniture very comfortable. Perfect for backyard, patio, pool or garden. The folding armchair is available with a footrest and can be matched with a small side table.